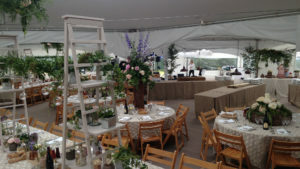 We provide wedding and event marquee hire in Devon for all your wedding and event needs. 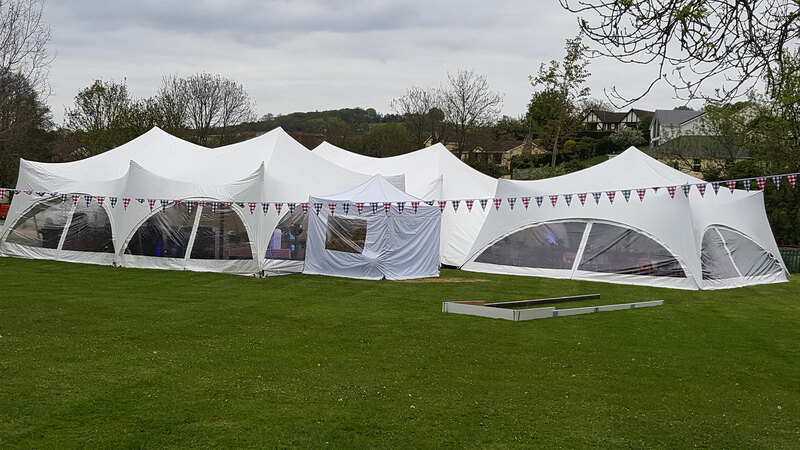 Whether you need marquee hire for a wedding in Devon, a corporate event, a BBQ or garden party, there’s a marquee to suit your needs. 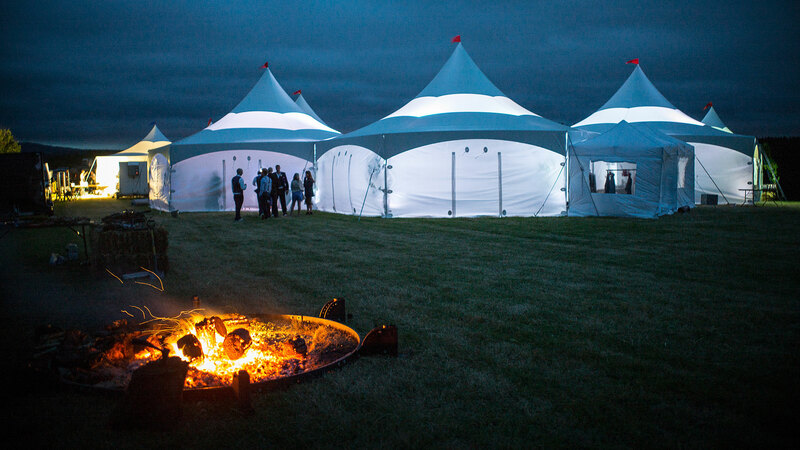 Our Canadian made Matrix marquees come in various shapes and sizes. The matrix high centre peaks inspire celebration! 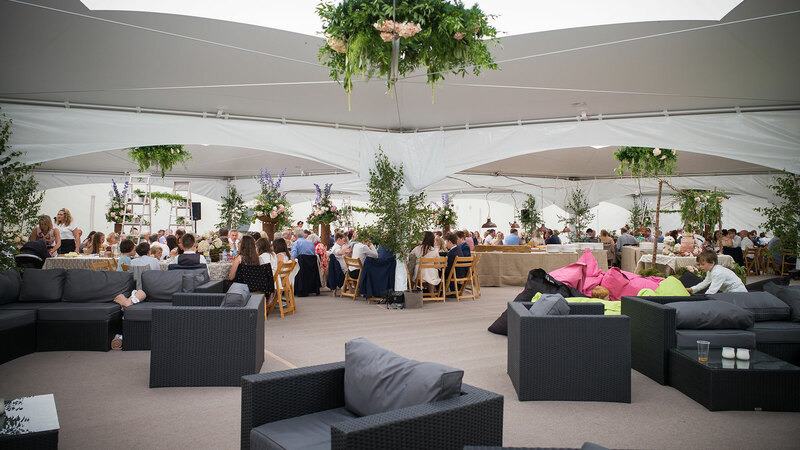 All our Matrix marquees are modular, meaning we can design a bespoke area where you and your guests can relax and feel comfortable in a totally unique space. 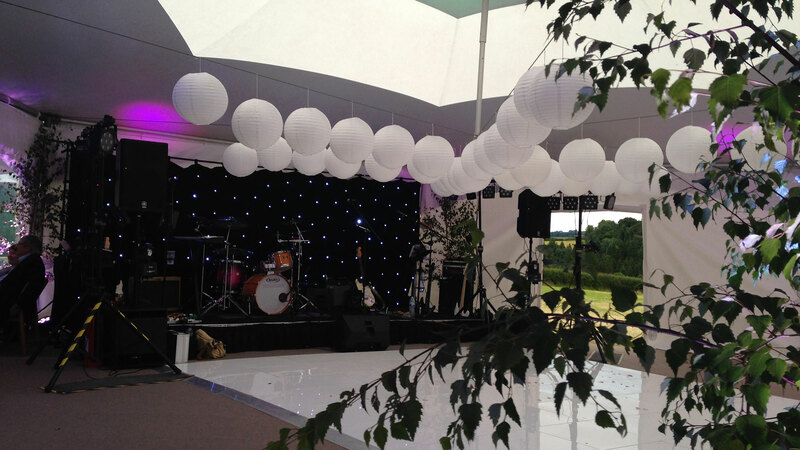 Using our hexagon, diamond and square marquees for hire, we are able to configure an open plan space inside. This gives you the area you need, without it being lofty and oversized. 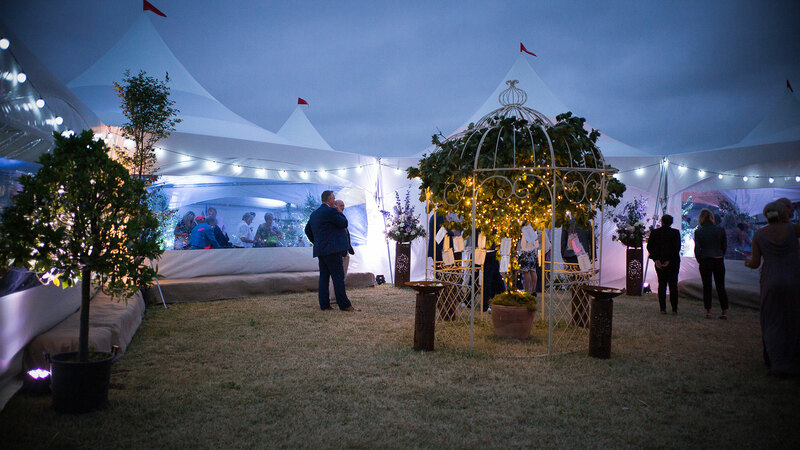 With its peaked roofs and large drawback windows, the Matrix marquees for hire are perfect for larger events and customers who want something a little different form the traditional frame marquee. 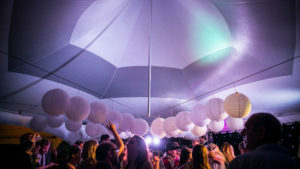 We work with the customer to design the best use of marquee for their event, creating something totally unique to them. Hexagon MQ40 – 11x12m Hexagon marquees for hire in Devon with 6 sides. The largest in our range providing 96sq metres of floor space for 100 guests seated and 180 standing. 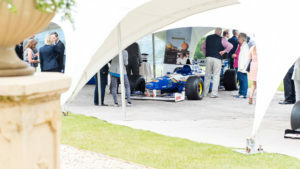 Square MQ20 – 6x6m Square Matrix marquees for hire. Great for a small party or to connect to a Hexagon. 36sq metres of floor space and space for 40 guests seated and 60 guests standing. 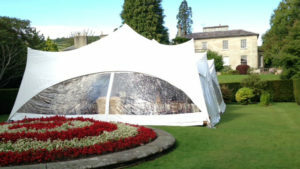 Diamond Mq20 – 6m Diamond Matrix marquees for hire. 34sq metres of floor space. 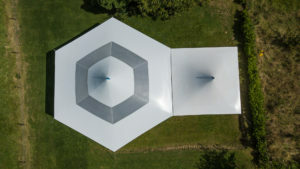 Can be used in conjunction with the Hexagon marquees to create a larger open area. Our Capri marquees for hire are perfect for a more intimate and informal wedding or event in Devon. 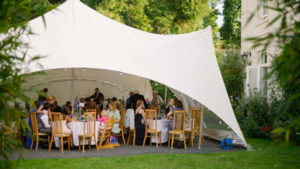 Capri marquee are also known as party tents, and are perfect for a whole multitude of events – including weddings, birthdays, garden parties, corporate events and more! 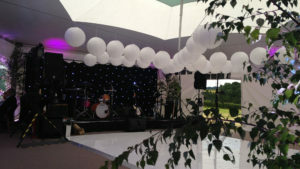 Capri marquees feature no straight lines or guide ropes, making them stylish and stunning both inside and out. Additionally, the walls are detachable and can be easily removed if the weather permits. Capris come in various sizes and again are modular, so we can cater for a small party to a large corporate event or wedding. 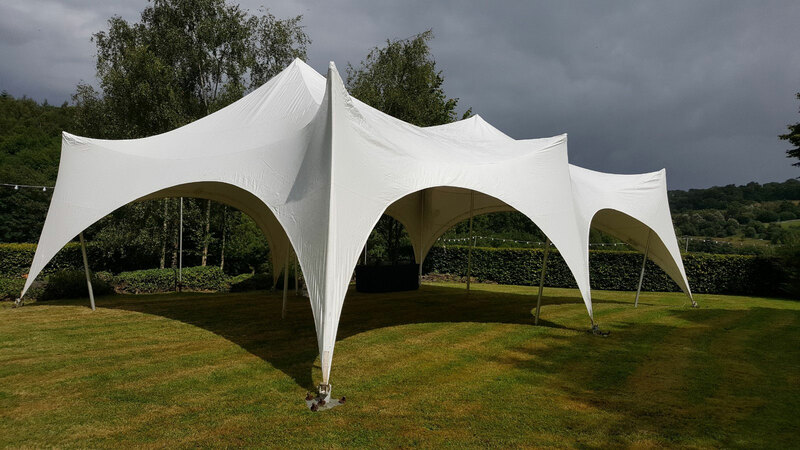 With no guide ropes, the Capris are built using an ingenious method of poles tensioning the canvas canopy to create a stretch effect over the whole of the marquee. Capri marquees are available for hire in Devon in 4 sizes: 20ftx20ft, 20ftx30ft, 28ftx28ft and the very popular 28ftx38ft. 28ftx38ft Capri marquees for hire – The largest and most popular in the our range. It can accommodate 80 people seated and up to 100 people standing. It’s the perfect solution for weddings, birthdays, large garden parties and corporate events! 20x30ft Capri marquees for hire – The 20×30 Capri marquee plays little brother to the largest 28×38 Capri marquee. Rectangular in shape, the 2030 Capri marquee is the perfect marquee for hire for events in Devon under 80 people. It has 6 entrance archways. 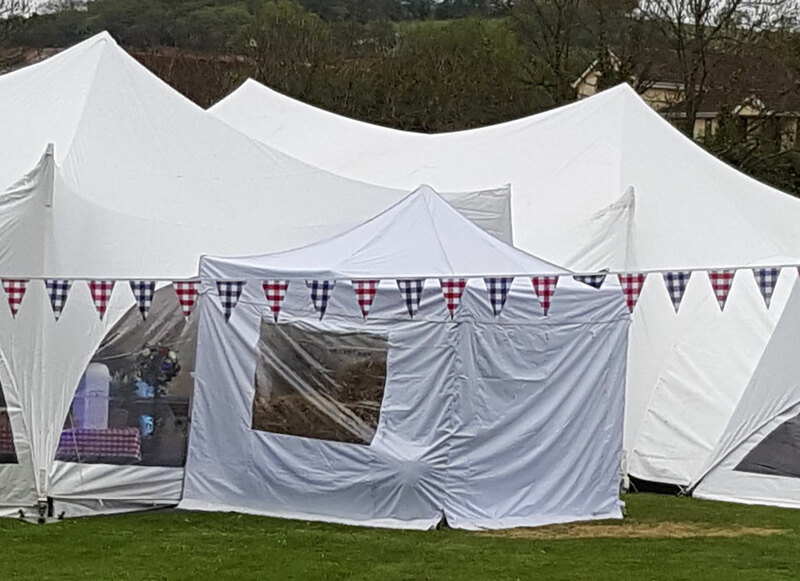 28ftx28ft Capri marquees for hire – Our 28×28 Capri Marquee hire is also perfect for children’s birthdays, garden parties and BBQ’s. 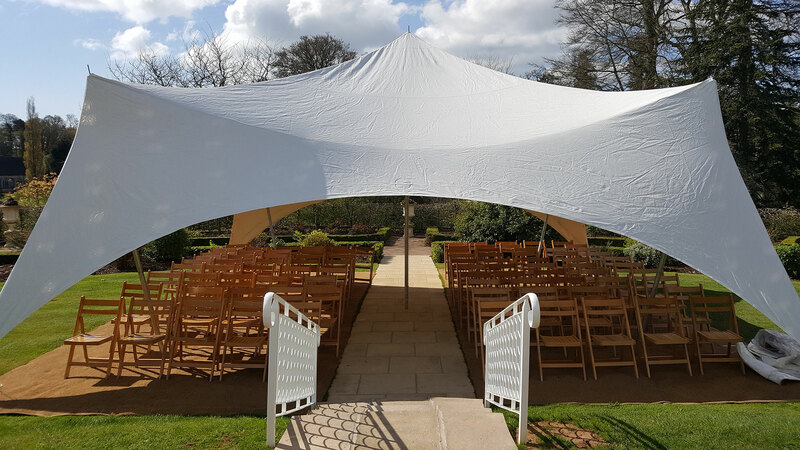 Although only a little larger the 20×20 Capri Marquee, the 2828 can accommodate 45 Seated or 55 Standing, making it more suitable for larger venues, weddings and events. 20ftx20ft Capri barquees for hire – The 20ft x 20ft Capri Marquee is the perfect marquee for garden parties, birthday parties and BBQs in Devon. They can also be connected to 28ft x 38ft and 20x30ft Capri marquees to be used as a catering tent or to just provide additional space. All Capri Marquees come complete with a set of side walls that can be clipped in minutes. 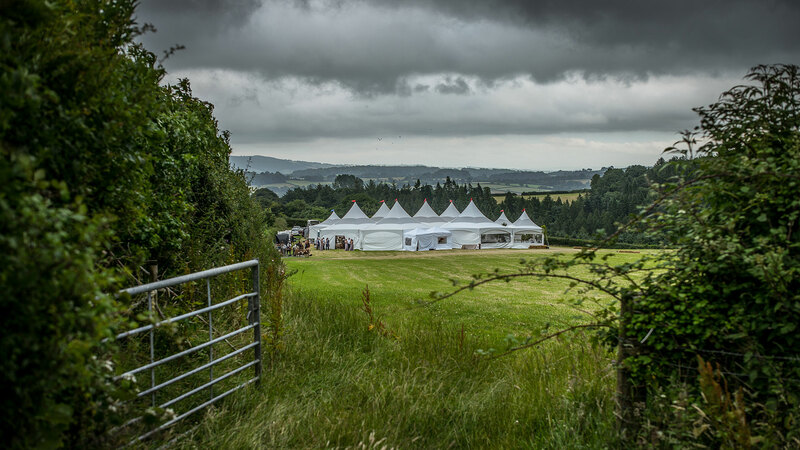 It’s a stunning yet simple option for your wedding or event marquee hire in Devon. 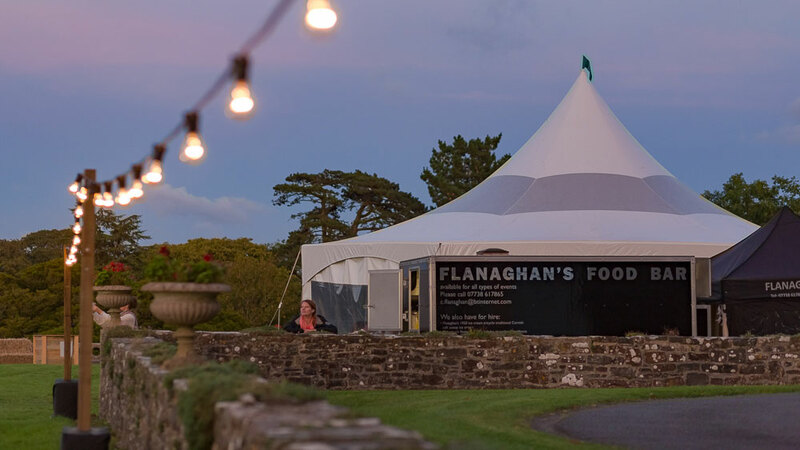 In addition to our marquees for hire in Devon, we supply a number of smaller 3x3metre pop up marquees. Pop up marquees are perfect for a stall or food area or walkway. They’re easy to build and take down, and can be used on both grass and hard flooring. They can also be linked together to make a larger area.